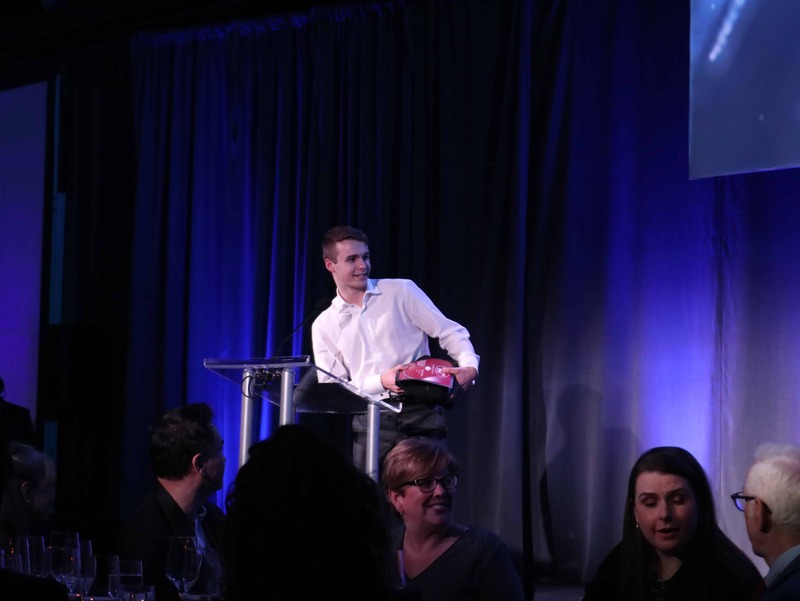 Bryan Gee, Simon Friesen and the duo of Megan and Nicole McNamara were recognized by Sport BC at the organization’s 53rd Athlete of the Year Awards. 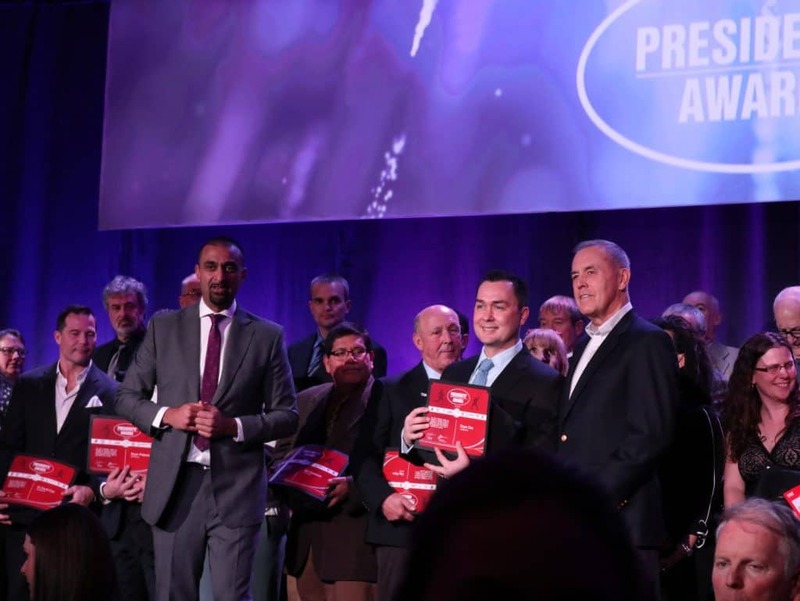 Gee, an executive member and longtime coach of the Ducks Volleyball Club, was chosen by Volleyball BC to win the latest Sport BC Presidents’ Award. He spent the last two decades growing grassroots programs throughout the Tri-Cities. Gee also sits on the Coquitlam Secondary Schools Athletic Association’s executive committee. Beach volleyball stars and twins Megan and Nicole McNamara won the Sport BC Team of the Year Award, beating rowers Hillary Janssens and Caileigh Filmer and the Coquitlam Jr. A Adanacs Lacrosse Club. The McNamaras finished their third year at UCLA by winning the NCAA Beach Volleyball Championships, followed by winning gold at the World University Championships and the Sr. National Championships. The twins also have played in nine FIVB events around the world. 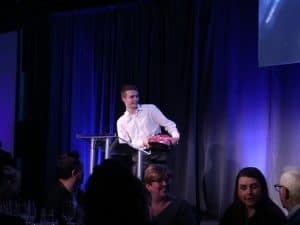 Capilano Blues player Simon Friesen accepting his Sport BC College Athlete of the Year Award. Simon Friesen of the Capilano University Blues earned the Sport BC College Athlete of the Year Award. He was named CCAA Player of the Year and All-Canadian in 2018, as well the PacWest Player of the Year and First Team All-Star. Friesen also coaches for the BCO Volleyball Club and Atomic Volleyball programs. For more information about the Athlete of the Year Awards, please visit the Sport BC website.